The original. Multi-purpose colored duct tape. 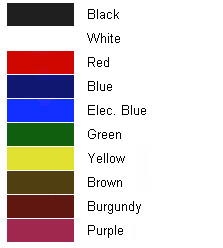 Comes in 13 brilliant colors and tears straight and easy. 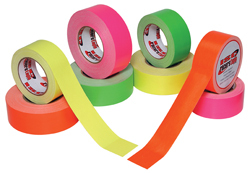 Multi-purpose NEON colored duct tape. Comes in 4 brilliant neon colors and tears straight and easy. 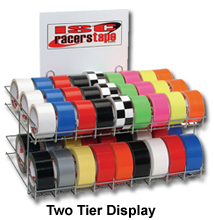 This highly aggressive and premium heavy-duty duct tape will succeed where other tapes fail. 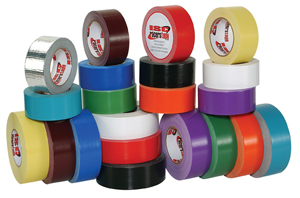 It's Superior tensile strength, clean release, and non-delaminating features make this tape a "must have". 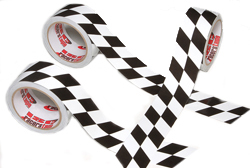 Checkerboard tape is a great item for all racers and their fans. Mostly used for decoration and to gain attention to all areas. 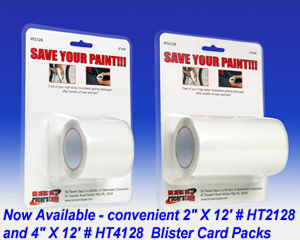 It is a vinyl tape laminated with mylar and comes with a liner. examples seen on your monitor. does not leave a sticky residue when removed. It comes in 4 brilliant fluorescent colors and has many racing uses, including pit marking, emergency body and fender repair and waterproofing. The uses are endless. Non-skid comes in sparkle black only. Mark off your pit spot or anywhere you dont want you competitors to be. No more hassles of saving spots with trash cans or cones. 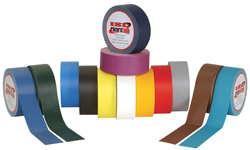 Surface Protection Tape is a clear protective urethane film that is virtually invisible to the naked eye. Surface Protection will protect any surface that is prone to scratching, chipping, and weathering. A bullet proof, clear film that provides indestructible protection. 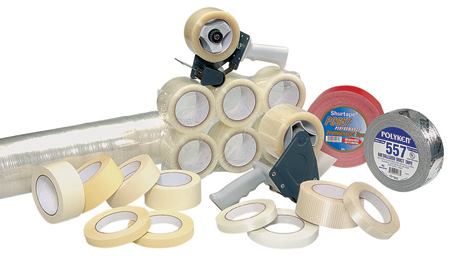 Surface Protection has a semi permanent adhesive, with a removable release liner. Available in two different outdoor grades: 8 mil or 14 mil thicknesses. 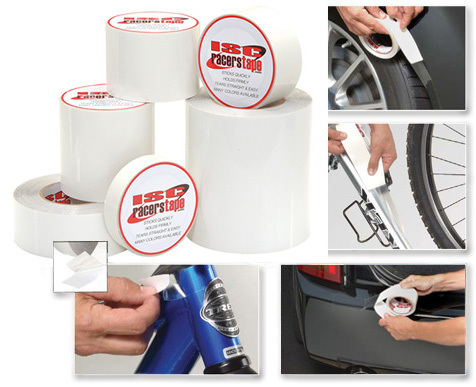 Surface Protection Tape provides excellent protection against ultra violet light, temperature extremes and automotive solvents. Will not yellow over time. 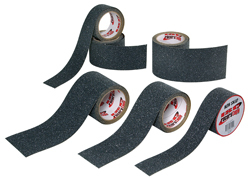 Be sure to take note that our Surface Protection Tape is made of Polyurethane Material, not PVC or Vinyl. These other types don't conform well, and also cannot, will not, take the abuse that polyurethane will. 8 - mil thickness - Crystal clear, thin, our most popular protection. Very conformable, and easy to remove over time. Can be trimmed to fit any application. 14 - mil thickness - Made for extreme applications, very durable, and puncture resistant, not as clear as others. Extreme Protection, that will last for years to come. This is the original Helicopter Tape. 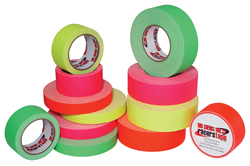 Applications for Surface Protection Tape are endless. From passenger vehicles, bicycles, boats, semis, motorcycles, racecars, RVs, street rods, snowmobiles, and everything in between, ISCs Surface Protection can do the job. 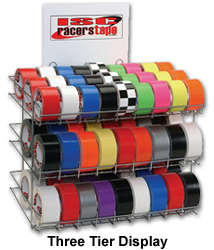 We also fabricate and stock tapes for specialty applications and can supply tape for your most demanding uses. You name it...we got it ! !